Every two years we have a weekend together in the countryside, and the most recent one was in June this year. About 50 of us went to a centre in Sussex, and once we had all arrrived (it wasn’t that easy to find) we had a great time. 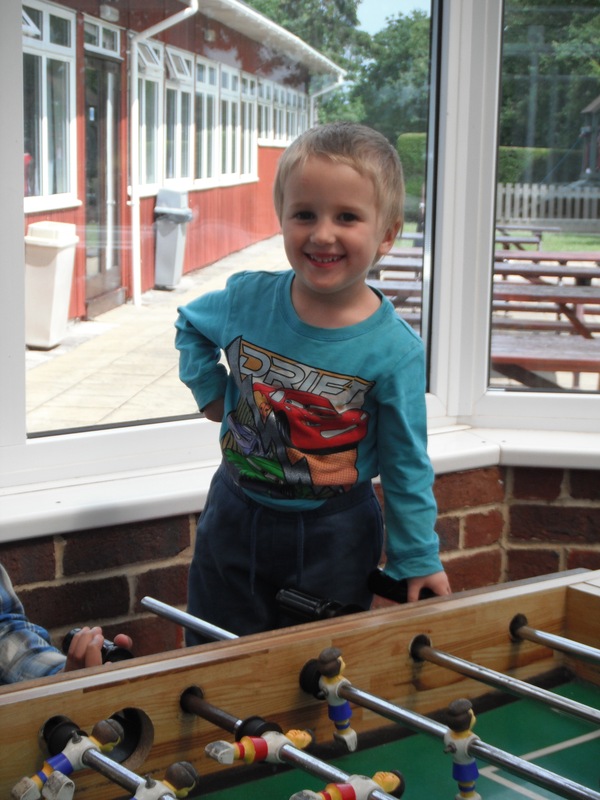 Samuel loved the table football.